Jan 22, 2005 - 10:36 am - Port Townsend sails.Carol. Aug 28, 2011 - 08:47 am - What size sail is appropriate for a W32 for an anchor riding sail? Mar 27, 2009 - 06:59 am - Does anyone use one? Does it work? What size is it? Pictures?Short and to the point, thanks. Jan 29, 2008 - 06:37 pm - Boy, everything is in your service manual. There's so much, I forget what's there!Fair leads,Aaron N.
Jan 02, 2007 - 03:42 pm - What is it/are they? Jun 30, 2011 - 01:59 pm - Thanks Norm! Aug 02, 2009 - 09:38 am - Admins -- sorry about the image size -- I though 640 X 480 would be fine... Delete if needed and I'll repost a small sized image. Aug 02, 2009 - 08:35 pm - What kind of wood is that? Phew - glad everything worked out ok! Aug 03, 2009 - 07:14 pm - I have ordered the SS boomkin's and Stern pulpit with ladder from Bud..The owner guessed that the wood may be spruce.. maybe Bud actually knows!! Aug 04, 2009 - 10:39 am - The wooden boomkins made by Westsail were usually straight grain fir with no knots. Aug 05, 2009 - 10:15 am - I guess if the boomkins and bowsprit are kept varnished problems that start to develope will be easily seen - not so with regular paint. Oct 17, 2009 - 07:26 pm - Hey Rod- Where ya been? Dec 24, 2008 - 09:26 am - I buy all my blocks from Garhauer Marine, and all ball bearing with stainless cheeks. Contact me directly for some very good pricing. Jul 20, 2009 - 10:32 pm - thanks for the valuable advice Bud, as always! Jun 15, 2011 - 07:14 am - A vote for Kern. Very good quality and price. Sep 11, 2005 - 11:50 am - I have a bail that attaches to the top of the mast, and sticks out ahead of the headstay. Attach a swivel block to the bail for the halyard. Apr 08, 2008 - 10:16 am - A very helpful guide! Jul 17, 2008 - 12:01 am - Would it not help financially to be able to use the old cover as a pattern for the replacement? Dec 04, 2009 - 05:17 pm - oppsNo furl but flake on deck.stored in a bag below deck as dry as possible. Feb 10, 2011 - 07:53 am - Gary, I would recommend getting hold of Dave King, our resident expert in performance of the Westsail boats, and get some feedback from him. Apr 16, 2009 - 07:05 pm - Can anyone tell me if the shorter shrouds are forward or aft before the stick goes up and I kick myself for not asking. Thanks for your help. Mar 13, 2008 - 01:37 pm - We have recently bought a W42 cutter/ketch which still had much of her original gear.Is the old Schaeffer furling gear under-sized for this boat? Mar 23, 2005 - 07:41 pm - do any design plans exist for a Gaff Rigged Westsail 32, any assistance would be appreciated. Apr 17, 2009 - 09:30 am - Whats your price for one with a snap shackle Bud? Apr 17, 2009 - 10:19 am - Gary, The pricing is in my Westsail Service Manual, Page A-17. I will send you the page by email. Oct 09, 2008 - 07:49 pm - Thanks, how do I find this Kern person? Oct 14, 2008 - 11:04 am - thanks for your help. Oct 23, 2008 - 02:28 pm - Oh, and BTW, I LOVE my super yank also! Kern makes a great sail. Apr 13, 2007 - 10:12 pm - I supply 100' halyards with my running rigging kit for the masthead halyards. Nov 22, 2009 - 03:50 pm - Is the 100' for a W32? What about for a W43? Dec 02, 2009 - 11:11 am - Here is that picture of Satori taken from a Coast Guard helicopter. Dec 03, 2009 - 08:29 pm - Thanks Lee. That was a really good read. Deserves several readings. Jun 27, 2009 - 06:04 am - Thanks Gary, You too Bud, but as to the commercial ones there so far isn't really any I like. I'm in Annapolis and been looking at everything. Jul 01, 2009 - 07:23 am - Thanks,I've printed them out. Our SS guys are showing up this am. I have a couple of others I'll be discussing with them. Dec 30, 2004 - 09:08 am - Not so much handy, but more to keep the bag off the deck. Dec 31, 2004 - 06:45 am - Yes, but it keeps them drained and dry. Oct 18, 2011 - 03:00 am - As long as the luff isn't longer than about 43', or whatever your hoist is, you might want to try the sail first and see how it works as is. Jul 21, 2008 - 01:41 am - I am so happy that you understand boat mechanics as well as any. So here is wishing you good luck on your rigging and sailing. Jul 21, 2008 - 08:45 am - Come on, guys, let's be nice! Life's too short to be snipping at each other. Jul 21, 2008 - 04:34 pm - yea mon, yagot dat right mon.This is supposed to be about Happy Times ! Mar 05, 2009 - 01:37 pm - Has anyone tried Lee sails? The prices are 1/2 of what others are asking....whats the catch? Mar 05, 2009 - 06:34 pm - How much did you spend on your main Randy? Mar 05, 2009 - 07:14 pm - Disclaimer:I know next to nothing about sails! Mar 10, 2009 - 08:57 am - Can't go wrong with Kern Sails.Congratulations on the preliminary decision and best of luck. Mar 10, 2009 - 12:25 pm - Gary, If you are in Newport Beach, give me a call and we can meet. Mar 11, 2009 - 08:09 pm - Congratulations on your sail purchase.Am about to make final settlement and take possession of my main. It was about the price I told you. Mar 11, 2009 - 10:55 pm - Happy tweaking Randy! Dec 11, 2006 - 12:49 pm - I was thinking of removing the slugs from the foot of my main. Any thought? Thanks. Feb 03, 2010 - 01:01 pm - That is where I show it in my Westsail Service Manual for the W32. Oct 20, 2006 - 11:56 am - Mike, I would recommend drilling out the holes to accept 5/16" bolts. #10 sized bolts may not hold in the event of a jibe. Jan 04, 2010 - 11:47 am - Thanks for the info. With that and Buds advise, I got the situation resolved for easy sheeting. Jan 04, 2010 - 12:13 pm - What did you end up doing Jean? Jan 29, 2009 - 08:05 am - On a W28 it's 40' from the top of the mast to the waterline and 35' to the tabernacle so 44' for a W32 sounds about right. Jan 30, 2009 - 11:39 pm - Thanks for all the replies! Feb 23, 2007 - 07:44 pm - Great idea Norm! Why didn't I think of that?Bolt on plate seems to be an excellent solution. Thanks for the idea! May 14, 2008 - 07:49 pm - Rich,This asymm fit OK even with such a long luff? Do you know the leech/foot measurements?Thanks!Aaron N.
Aug 28, 2006 - 08:53 pm - I would try that loft in port townsend. I have heard nothing but good things about her. Aug 31, 2006 - 01:07 pm - I can usually always get Kern on his cell phone 949-903-5376. Dec 10, 2006 - 08:31 pm - Dave, is the foot on your main free or attached. I was thinking of removing the slugs from the foot of mine. Any thought? Thanks. Dec 04, 2008 - 10:51 am - Kern rarely answers his shop phone. Better to call him on his cell phone 949-903-5376. Sep 07, 2009 - 08:13 am - Wow, thanks, guys, did I nearly make a mistake. Mar 30, 2009 - 10:04 pm - Anyone care to chime in about size of reefing winches....? Mar 31, 2009 - 01:59 pm - Thanks all! May 04, 2011 - 11:06 am - What length pole should I be looking for? For a W32 Thanks..
May 05, 2011 - 03:03 am - Thanks for that detailed answer Dave, exactly what I was looking for. May 27, 2008 - 10:22 pm - Do the capshroud chainplates line up with the base of the mast Norm? Athwartship that is..
Aug 02, 2009 - 08:47 pm - Tom - also check to make sure that the spreader tips are in fact in the middle of the mast. 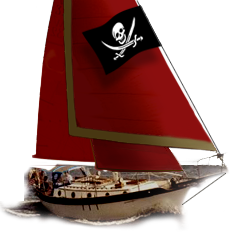 Nov 28, 2005 - 11:21 pm - Anyone in the Los Angeles area know a good rigger they could recommend who knows westsail 32s? May 16, 2006 - 08:52 pm - Anytime you're in chop or on a long trip rig the windward running back stay. Tension it to stop the mast from pumping. Oct 28, 2005 - 05:45 pm - Jill,They work very well. Recommend buying one from Garhauer Marine. Much less expensive than other brands, and exceptionally well made. Oct 20, 2009 - 07:37 pm - Anyone have any experience with RJ Manufacturing, a line manufacturer out of Turlock, CA? Apr 05, 2011 - 11:11 am - Does anybody use a roller furling system on the staysail. Sorry if this is a dumb question? If so, what type is 'best' and if not, why not? Apr 01, 2007 - 08:46 pm - Aaron,those of us in SW FL need a burner under us. A rendevouz is due.Hurry up and get here. Sep 13, 2004 - 09:30 pm - Thanks Dave,That was just the kind of info I was wanting/needing. Sep 17, 2004 - 08:40 am - Oops.. one more clarification.I presume the running backstays would come into play when the main gets doused & staysail alone is up? Mar 11, 2006 - 12:32 pm - I have a copy of the original sailplan for the W32. Contact me at btaplin@westsail.com and I can make a copy for you. Apr 07, 2011 - 08:46 am - Aaron: I'll measure a 2007 Kern main sail next week - great idea by the way. Mar 09, 2004 - 11:02 pm - What's the general consensus on sail sizes for the Westsail 32, Mostly coastal sailing. Jib has roller furler. Aug 21, 2006 - 10:57 pm - OUr boat came with a monitor. The company is extremely friendly and will send you a DVD and information at no cost. Highly recommended. Nov 16, 2005 - 12:24 pm - Terry,Check Page C-9 of my Westsail Service Manual to see how a loose footed staysail should be controlled. Aug 07, 2009 - 08:58 pm - Though you might want to see what a 70 mph wind does when it gets under roller reefed headsails. Dec 18, 2008 - 08:43 am - What is the best sail slug size/model for the 44' mast? Mar 13, 2007 - 10:48 am - My second questions relates to spare sails.Are there any recomendations as to what spares should be carried?One of each? Main, Yankee and Stay? Mar 05, 2009 - 11:39 pm - Don,What type of spinnaker? Asymm or symmetrical? Sizes?How long is the pole? Extendable, aluminum?Thanks,Aaron N.
Jun 24, 2006 - 09:32 am - Thanks Norm.Any idea on how much is needed? Jan 15, 2009 - 09:54 am - I've seen the rails on a number of Westsails, but I've never seen the teak decking there. Mar 18, 2007 - 11:42 am - You have a rear sampson post?Where is it located/anchored? Mar 20, 2007 - 09:28 pm - Terence,The term "storm jib" is just a name. It should be flown on the stays'l stay.Fair leads,Aaron N.
Jun 20, 2009 - 07:36 am - What is the appropriate size for a symetrical for a W32? Aug 15, 2009 - 09:03 pm - Thank you Aaron. Good information- exactly what I was looking for. Jul 22, 2008 - 11:50 am - http://www.minneysyachtsurplus.com/Cheers,Aaron N.
Aug 23, 2009 - 12:15 pm - Takes no more than 300' of 9/32" wire for a standard boat. Also 23' of 3/16" for bow whiskers, and 9' of 3/8" for bobstay. Jan 14, 2005 - 05:44 pm - Try 949 645 7741 his loft number -- I was able to reach him at this number in December 04. Jan 19, 2005 - 11:56 pm - Ahoy Dave, Kern's e-mail address is: kernsail@sbcglobal.net Have you tried this address? Jan 22, 2005 - 06:41 am - Tried the Kern addrress and it came back as undeliverable. Sep 10, 2009 - 03:15 pm - Terry, I don't know what to tell you about the slipping.Maybe you could ask Bud. But instead of acetone get some Never Dull It's good stuff. Mark. Sep 10, 2009 - 05:48 pm - Sounds like your winch drums are burnished from use. A rubbing compound might remove the burnished finish.